First edition 1988. Second edition 2013, revised and updated. King Agamemnon is long dead and his killers rule at Argos. Orestes returns from exile to avenge his father by killing his mother Clytemnestra and her seducer Aegisthus. His vengeance will release his sister Electra from oppression and restore Orestes to his home and kingdom. This is the only episode from Greek legend treated in surviving plays by all three of the great Athenian tragedians of the fifth century B.C. — Aeschylus in his Libation-bearers (part of the Oresteia trilogy), Sophocles and Euripides each in plays named Electra. The three plays provide a unique record of development and divergence in the content and style of Athenian tragic drama. In Euripides' hands the story becomes a tragedy of all too human emotions and illusions. Orestes' revenge is subordinated to Electra's hatred and resentment of her mother and the usurper. Clytemnestra's death brings not joy and restoration but revulsion, separation and renewed exile. Unwarned by the gods, Electra and Orestes recognise too late the human costs of executing Apollo's justice. This edition of Euripides' play was first published in 1988. The second edition is extensively revised to reflect more recent work on the text of the play and its interpretation. Greek text with facing-page English translation, introduction and commentary. 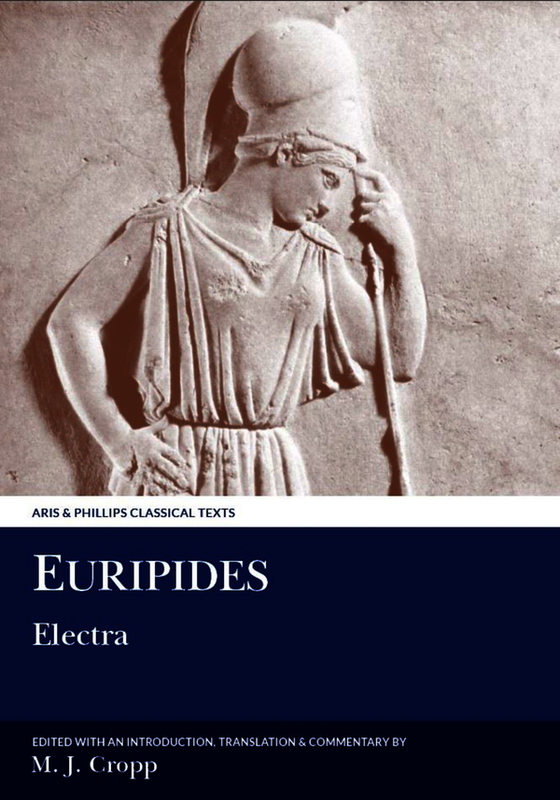 Edition of Euripides’ Electra. Greek text, facing translation, introduction and commentary. Revised 2nd edition, 2013. Martin J. Cropp is Professor Emeritus of Greek and Roman Studies at the University of Calgary. In the Aris & Phillips Classical Texts series he has also edited Euripides’ Iphigenia in Tauris (2001) and Euripides: Selected Fragmentary Plays, Volume 1 with Christopher Collard and Kevin Lee (1995, revised 2009) and Volume 2 with Christopher Collard and John Gibert (2004).